Beauty is a great gift for everyone on your list! Anyone can use the gift of a haircut, styling, or treatment. What is better than giving the gift of pampering and relaxation? Whether is it for a birthday, holiday, or just a surprise, you can never go wrong with a gift card to The Hair Company hair salon. Treat the ones you love to a cut, color, or trim with one of our exceptional hair stylists. Gift cards are even good for products to take home and enjoy all the time. You can never go wrong by treating those you love with a trip to our hair salon. 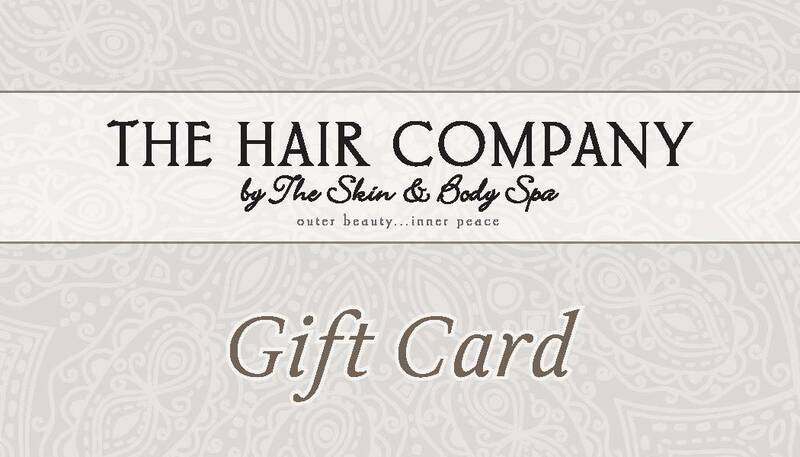 Be the one to give the gift to remember with a gift card to the most swooned over local salon, The Hair Company. Stop by our salon to pick up the gift of beauty that keeps on giving! Click on the image below to get your gift card today.